A hands-on introduction, organized around a handful of annotated example programs, of using Go’s assembly features. Here’s a simpler intro to get the idea. A new, lightweight, app server from NGINX designed for dynamic and distributed applications. In beta, it currently supports Go, PHP and Python. 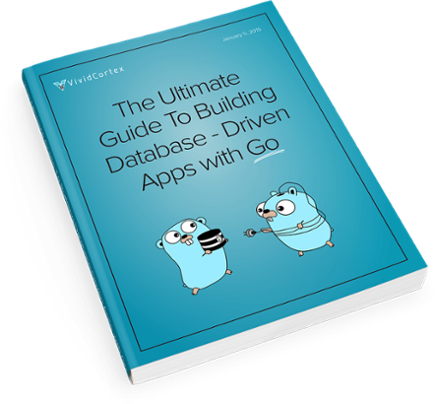 This book contains years of wisdom from experts & the fastest way to learn how to connect to a database with Go. A common compiler optimization is inlining a function call. Go seems shy about this optimization, resulting in performance penalties. Writing bash completion scripts can be tricky, so why not do it in Go? This package will help. From GopherCon 2017, a walk through building a cache client/server using grpc, highlighting the good and bad bits. If consensus algorithms get your mental juices flowing, then come join the team behind a global and fault-tolerant messaging platform. Finding a Job Shouldn't Feel like Work. Try Hired Today. Provides tools for instrumenting your code in order to gain insights into production performance. Attend technical sessions, instructor-led codelabs & demos, and meet-ups with Firebase developers. Using channels, goroutines, and context to throttle calls to a backend service. An attempt at throttling a receiver of events using goroutines, channels, and a buffered queue. Quick examples of testing HTTP and HTTPS servers written using the standard library. Cruise Automation (a subsidiary of GM) chose CircleCI to help their team get autonomous vehicles on the road. One for the networking crowd.